You know that I love me some Cornerstone Cellars. I’ve been sitting on this sample of their 2012 Black Label Napa Valley Cabernet Sauvignon for a while, and have been dying to taste it, but with Kara being pregnant, I have not had a chance to open as many bottles around her as I normally would (considering she doesn’t get to share it with me). You should also know that I love me some beef. I’ve been dreaming of this juicy cut of grass-fed goodness a lot lately. My wife, however, has a “no mammals” policy when it comes to our meals. 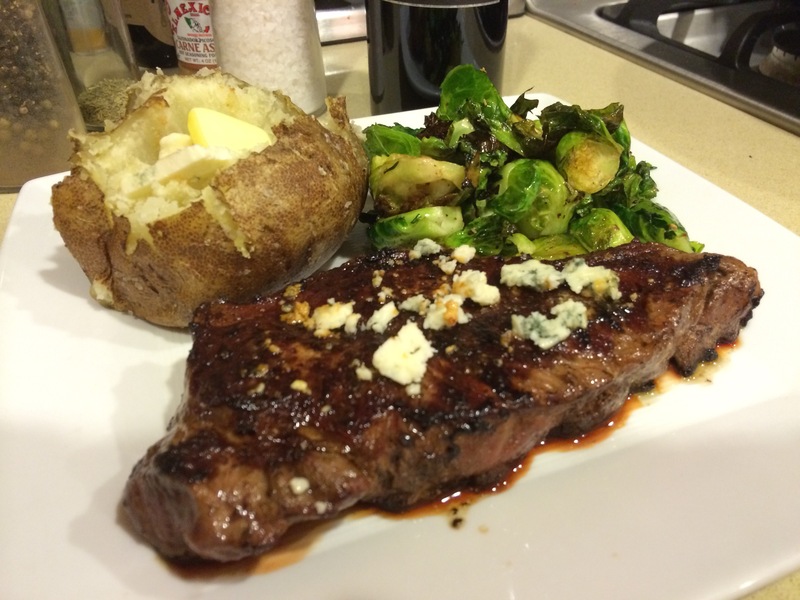 As a result, I don’t get a chance to indulge in as much red meat as I wish I could. Let’s get into this wine. 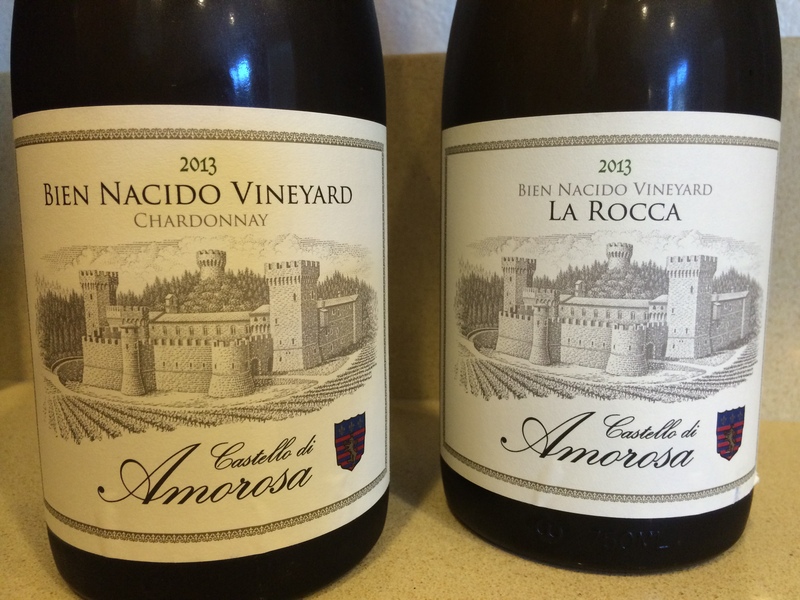 Formerly known as the Stepping Stone series, these “second label” wines from Cornerstone bring some serious chops at a serious value. Nose: Fruits of plum and blackberry up front, with secondary notes of leather, allspice, menthol, and pencil shavings. This is a nose a teacher can get behind (I’m talking about the pencils, not the Kool cigarettes, silly). Palate: A nice, medium plus weight to this wine. Fruits of ripe plum, cassis, and high-toned red cherries on the front palate. There is solid structure here from the chalky fine tannins and long acidity. I love the transition of fruits to tobacco leaf and rich forest soil on the long, Earthy finish. Score: This wine is friggin’ lovely! 93+ all the way. Kara should get out of town more often (Just kidding, girl. I love you). While this wine would do perfectly fine as a stand-alone drink, the fine folks at Cornerstone believe strongly in treating wine as part of a meal. I could not agree more. Be sure to listen to Jeff every week on the We Like Drinking Podcast (available on iTunes), and leave a comment below about your favorite Napa Valley Cabernet Sauvignon and food pairing. 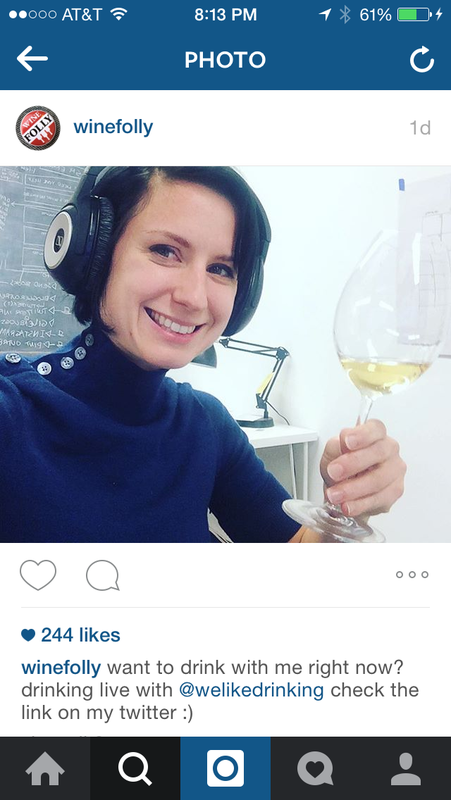 Here’s a picture that Madeline posted on Instagram, showing off the Albarino she was drinking on the show. The show, which was broadcast live on YouTube (to view the video click here then here… or just watch the embedded videos bellow), was a friggin’ one hour forty minute blast… in spite of the mid-show computer explosion. 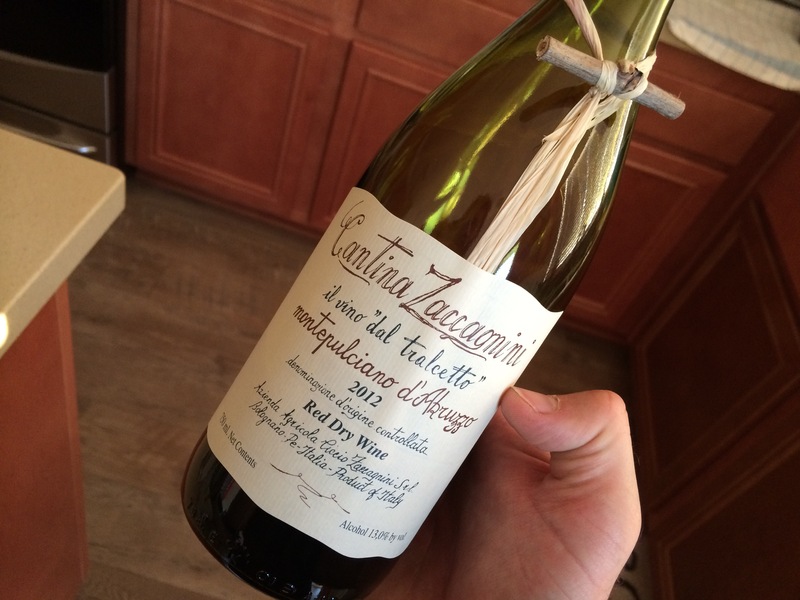 Cantina Zaccagnini 2012 Montepulciano d’Abruzzo… with twig. You’ve gotta give this episode a listen. Here’s the link. Just wanted to check in, and share a few samples from Cornerstone Cellars that I have been sippin’ on recently. 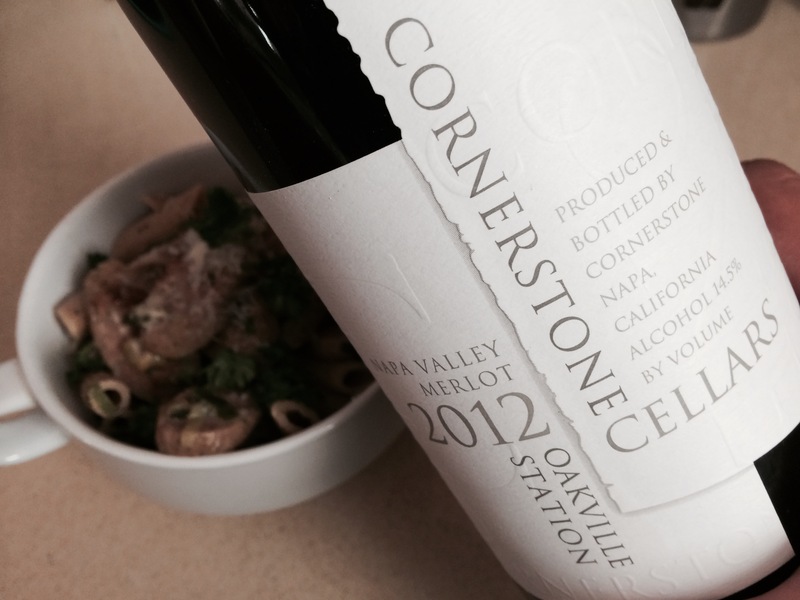 The Cornerstone Cellars 2012 Oakville Station Merlot is one of the first releases from Cornerstone’s new single vineyard series. The wine consists of 100% Merlot from the Oakville Station block of the world-famous To Kalon vineyard in California’s Napa Valley. This wine retails for $75. Color: This Merlot has a deep ruby red color. It’s so deeply red, it’s almost purple. 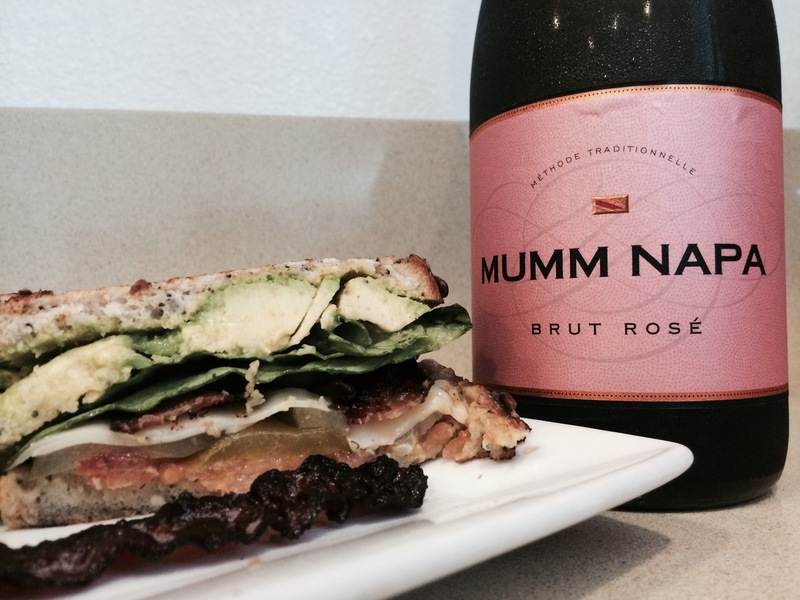 Nose: Bright cranberry and earthy blackberry aromas. 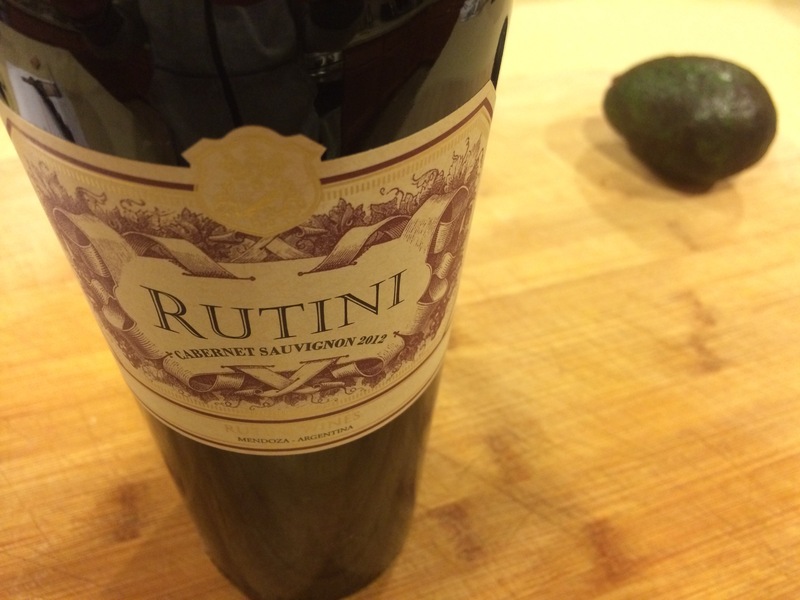 Taste: This wine is so much more than the ripe dark fruit that is so present on the front of the palate. Just wait for it… There it is! There’s this awesome meaty quality, and a long, tangy and spicy finish. I was really excited to learn that Cornerstone was going to start doing single vineyard wines. To me, there is no better way to truly understand the ever elusive terroir of a region. This Merlot does not disappoint. This wine is bangin’! 92 points. On to the next wine! Along with starting their single vineyard series with the 2012 vintage, Cornerstone will now be producing a special blend of these vineyards. 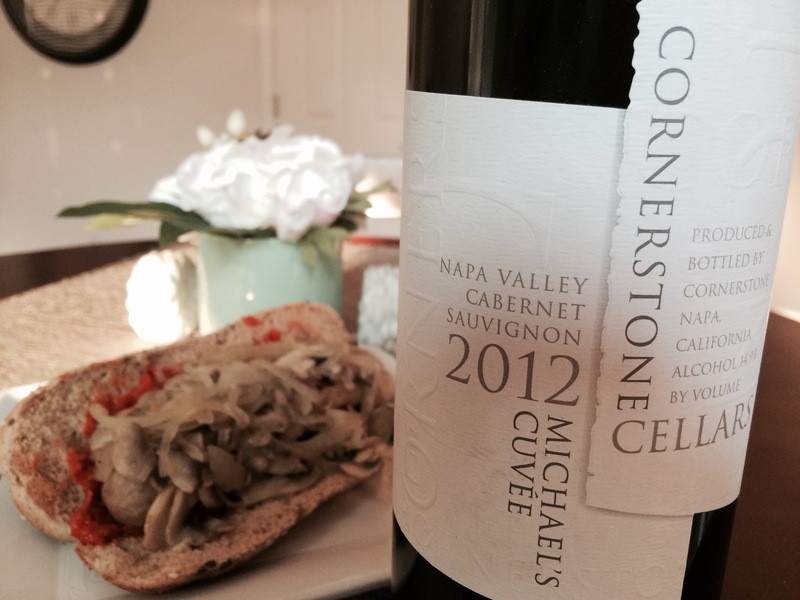 The Cornerstone Cellars 2012 Michael’s Cuvée is a blend of 91% Cabernet Sauvignon and 9% Merlot. 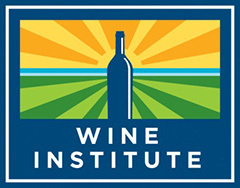 The fruit comes from Oakville Station (57%), Karios Vineyard in Oak Knoll (28%), and Ink Grade Vineyard on Howell Mountain (9%). The blend is named after Dr. Michael Dragutsky, who founded Cornerstone in 1991. This wine is also $75. I paired it with a Chicken Apple Sausage on a Whole Wheat Bun with Onions and Mushrooms. 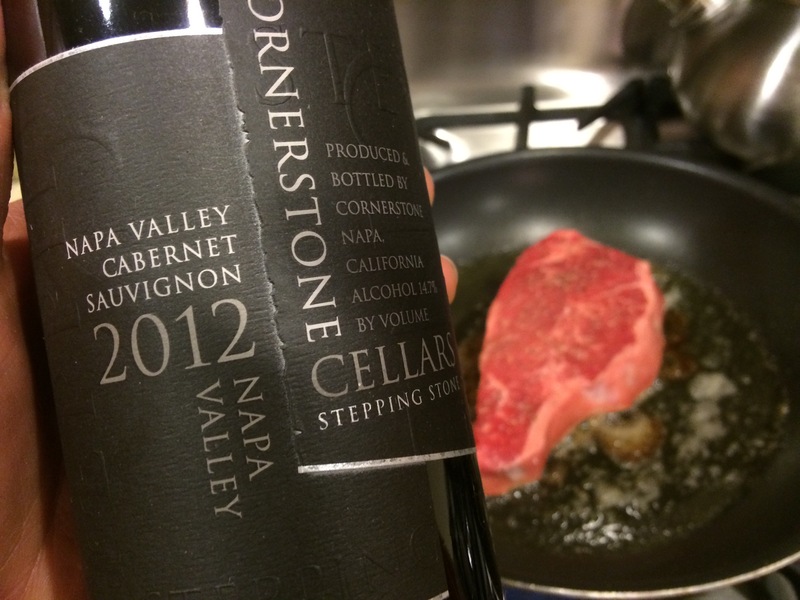 Color: Another deep ruby red wine from Cornerstone’s 2012 vintage. Nose: Fruits of plum, red currant, and blackberry. 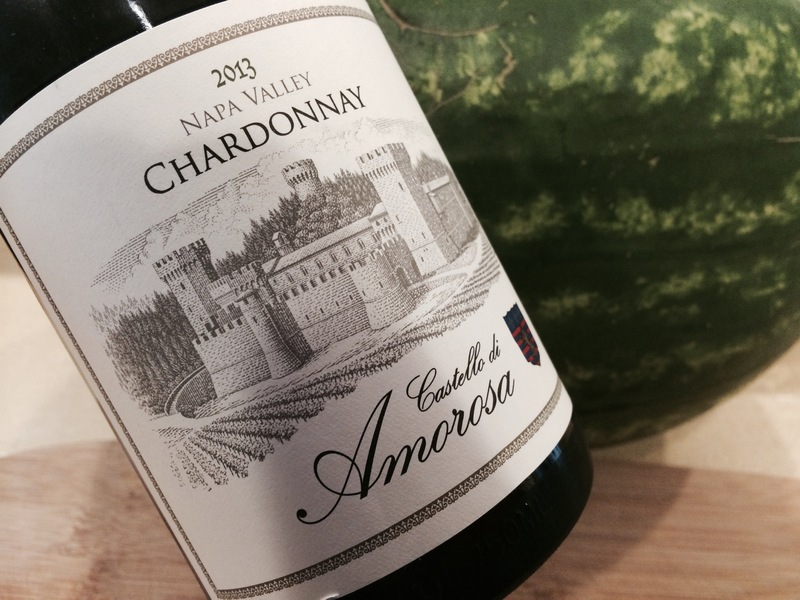 This wine is woodsy, both in terms of oak integration and the subtle forest floor aromas. Nice notes of menthol as well. 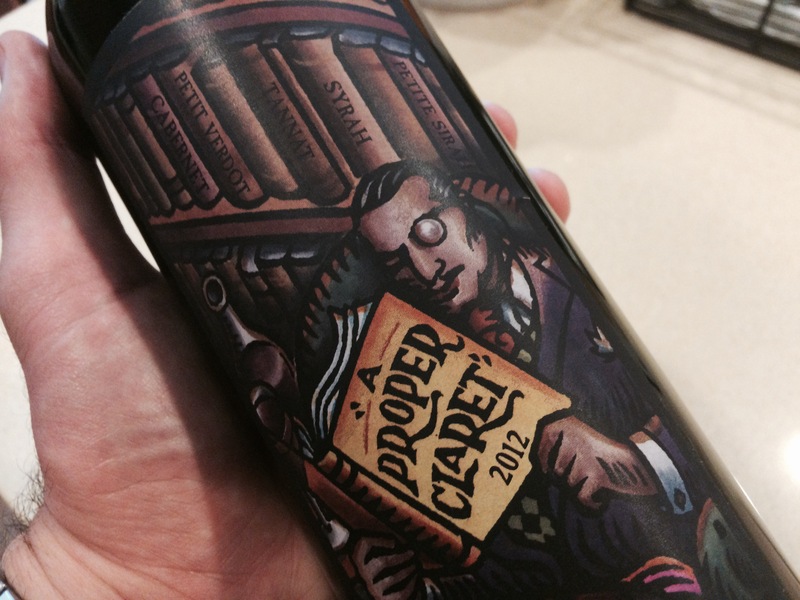 Taste: Ripe dark fruits up front transition to tangy red fruit flavors on the finish. There is a herbaceous backbone of mint, menthol, and tobacco leaf that is present throughout. Score: This wine is bombastic, and yet subtle. It’s in your face, but in a really laid back kind of way. It’s Taylor Swift doing a set of Radiohead covers. 93+ points. 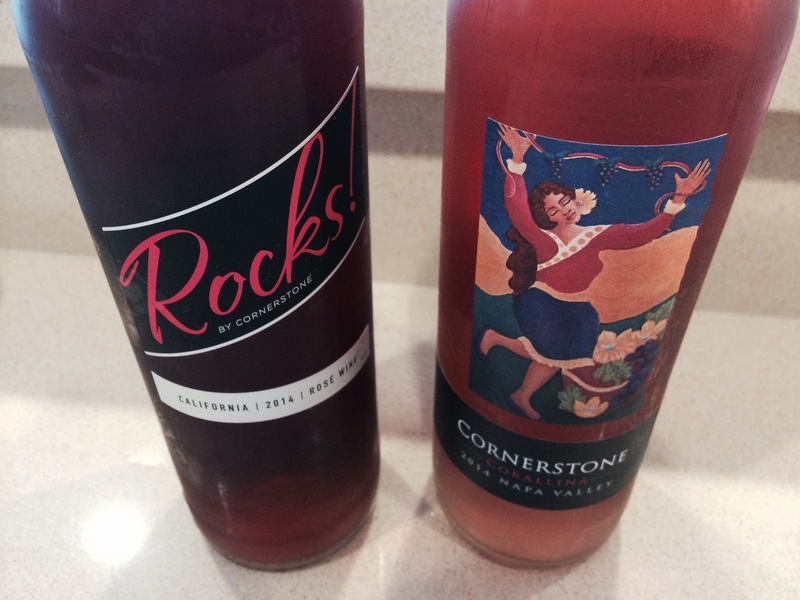 Which of these wines from Cornerstone Cellars sounds the best to you? Leave a comment, and let us know. In your opinion, who’s making proper claret these days? Leave a comment and let us know.